Spectrum Technologies has a rich history of innovation through responding to industry and customer needs, according to a recent press release from the Aurora, IL-based ag tech outfit. Spectrum’s latest solution matches proven products with the issue of off-target herbicide movement through drift and/or temperature inversion. 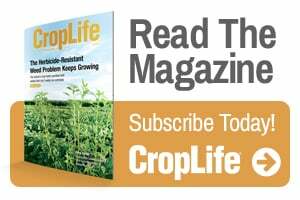 Growers and professional applicators have unprecedented complexities, requirements and liabilities when it comes to applying herbicide. Today’s product labels for dicamba have very specific requirements, restricting applications to a narrow window of conditions. Knowing and documenting these conditions is the job of the applicator. Temperature inversion is a new term to dicamba product labels; that is increasing temperature with altitude. This scenario can cause droplets to suspend in the air and potentially move off-target. 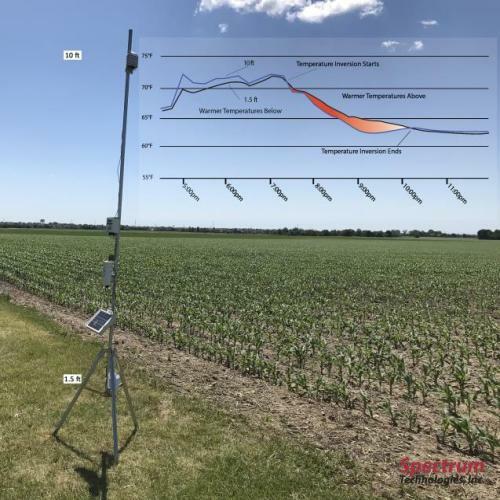 Spectrum has configured various products to monitor and record this condition to inform and give applicators confidence in their application. By measuring temperature near the ground and 10 ft, you can determine the presence of an inversion easily. By logging this data over time, you now have records of the conditions before, during and after the application. This could be very valuable in sensitive areas where drift/inversion has been an issue in the past. These stations could also be set up across an ag retailer’s trade area to give reference points to applicators and management. Spectrum can customize logging sites: from simple configurations that allow the user to log, download and view the data to more advanced stations that can be monitored remotely. Additionally, sensors can be added to include wind speed, wind direction, humidity, solar radiation and more.